Forget Jed Bartlet. Entertainment Weekly reports the cast of The West Wing is going to campaign for Hillary Clinton in Ohio. Created by Aaron Sorkin, the NBC political drama starred Martin Sheen, Bradley Whitford, Allison Janney, Richard Schiff, John Spencer, Rob Lowe, Janel Moloney, and Dulé Hill. Now, years after the show ended in 2006, the fake political professionals are entering the world of real politics. EW reports Whitford, Janney, Schiff, Hill, Joshua Malina, and Mary McCormack will hit the campaign trail for Clinton in Ohio this weekend, participating in grassroots organization and encouraging voter registration. What do you think? 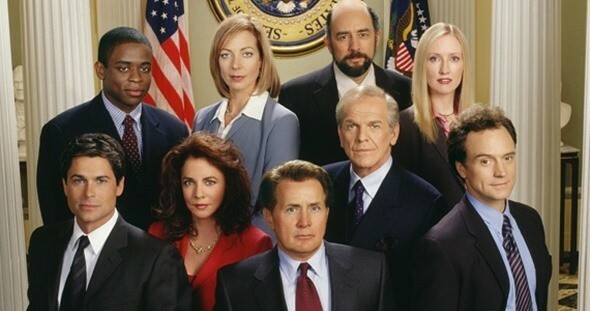 Are you a fan of The West Wing? 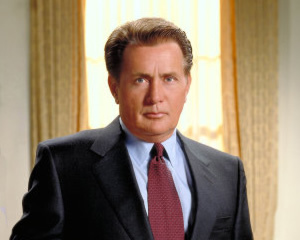 Do you think President Bartlet could beat Trump?